Rather fancifully, I had hoped to interest my old newspaper, The Northern Echo, in this slice of nostalgia brought bang up to date by Shildon’s night of potential glory. 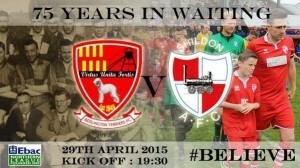 A win at Bedlington Terriers tomorrow evening (Wednesday) is all that stands between them and a first championship since 1940 in the Northern League, 126 years old and the world’s longest surviving league after the Football League. 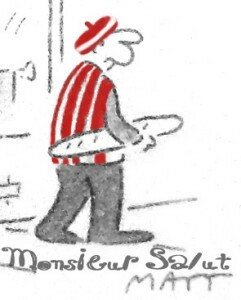 From the North East of my youth to the south of France, nowadays home for half the year, anyone will tell you I am a passionate if perpetually downtrodden Sunderland supporter. But there was a footballing life before Roker Park, the Stadium of Light and the 60-odd away grounds in which I have stood or sat and watched my team over the past 54 years. For much of my boyhood, I was a regular at the games of Shildon AFC, for two very good reasons: it was my home town and my father, Ernie Randall, was the club secretary. 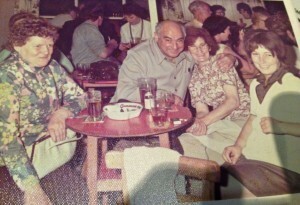 Dad would be 106 if still alive today. But if it is true that the departed spin angrily in their graves, aghast at what has become of the world they left behind, his soul will equally now be purring in serene contentment. 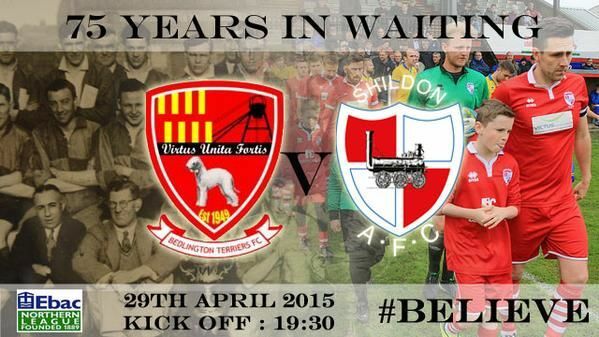 Tomorrow night, Shildon will win the Northern League title if they beat Bedlington Terriers in their final game of the season. It is a tough challenge against a side that has five championships to its name, won consecutively even before the splendidly named US billionaire Robert E Rich Jr traced family roots to the area and became the club’s president and shirt sponsor. But the terrific run that has taken Shildon to the brink of glory must offer hope that the final hurdle can be cleared and the finishing line reached. The maths are simple: win and the title is theirs, lose or draw and they must settle for second place to Marske United. 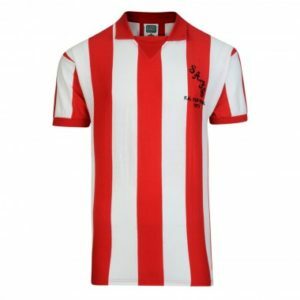 With Sunderland – yet again – facing relegation from the Premier, it is a prospect that offers this Shildon exile consolation as well as filling him with excitement and pride. 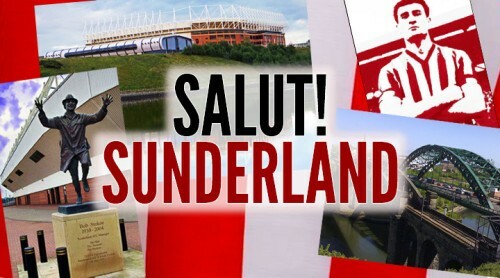 If I am honest, it hurts more that I cannot travel from southern France to south-east Northumberland to roar them on tomorrow than that I am also unable to make it to the Stadium of Light for Sunderland’s nervous encounter with Southampton three days later. As a Cockney who had joined a reverse form of Britain’s work migration – he was a tailor and the textile jobs were up north – Dad cut an improbable figure as a pillar of his chosen County Durham community. He overcame the funny accent and threw himself wholeheartedly into Shildon life, serving for many years as secretary of Old Shildon workingmen’s club as well as putting an enormous amount of time and effort into his work for Shildon AFC. We barely saw him at home. 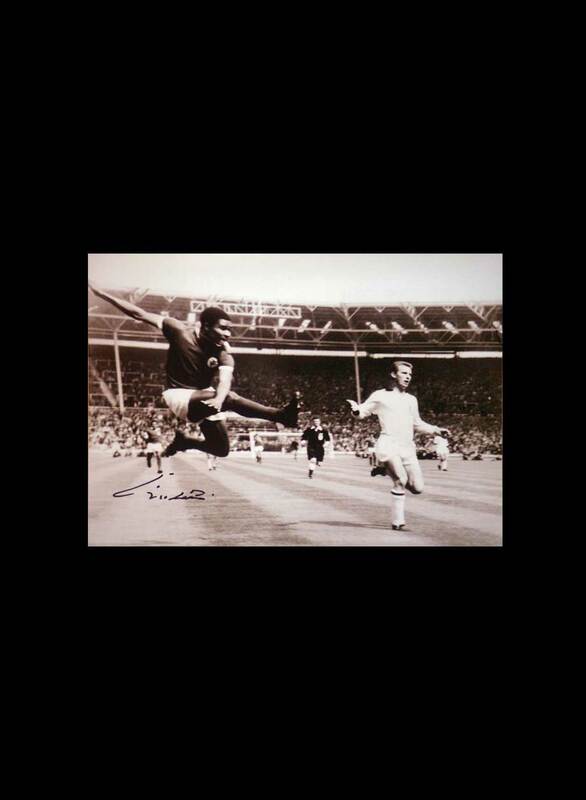 Back in those days of the late 1950s and early 1960s, his was a role that mattered in the game. Dad was the small-club equivalent of today’s chief executive, running the administrative side of the club and even negotiating the “boot money” that amateur football routinely used to sidestep rules forbidding the payment of players. Our Saturday rituals were cast in stone. Home ties meant selling matchday programmes to the men making the short walk from Old Shildon club along Dean Street to the ground. Occasionally, I’d “run copy” for a local newspaperman, Dennis Robinson, known affectionately as “Tiddler” because of his short stature; he needed a willing young lad to race to the phone box with his updates for the “Pink”, the football special of the The Northern Echo’s sister evening paper, in those times called the Northern Despatch. The shilling-a-time I collected from Dennis provided useful pocket money; flogging programmes was an unpaid filial duty [with modest bribes: M Salut’s sister recalls the young Randalls – Sandra, Colin, Phil – being rewarded with free entry, plus a friend each and maybe a Bovril at half time]. Away games were reached in the team bus, the honour of being in such lofty company slightly tarnished by the constant threat of travel sickness on the bumpy, windy journeys. Memory may play tricks but I certainly recall more defeats and draws than wins. 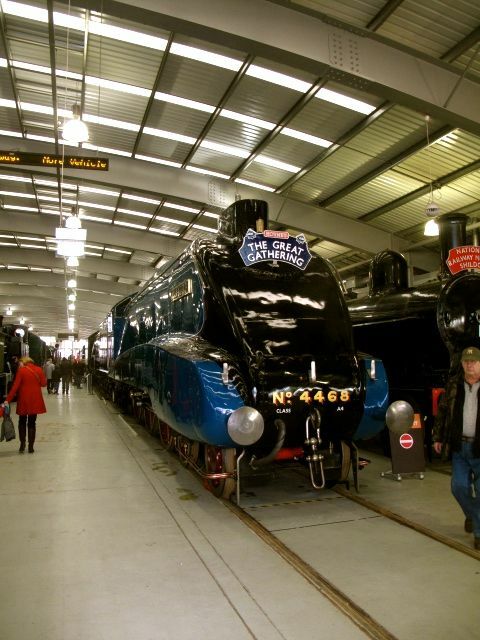 Shildon’s heyday, not unlike Sunderland’s, was already by then a long time in the past. The club record matches Bedlington’s, five Northern League championships, but all were won between 1934 and 1940. Still, they were my under-achievers. Half a century and more later, I can still recite at least one regular line-up: Peacock; Swan, Nelthorpe; Ayre, Swift, Brown; Hopper, Ridley, Curran, Douglas, Thompson. There was also the thrill of a trip to mighty Oldham Athletic, Fourth Division no less, in 1961. Anorakish detail: from that starting 11, you can almost certainly substitute Mick Gilhooley – later to move to the Netherlands in his job and also help create, of all things, a Dutch cricket association – for Peacock in goal and I have friends who would make further corrections. All of 13, I heard of the draw in the FA Cup First Round Proper when Doug Weatherall, then the Daily Herald’s football man in the North East, telephoned our house for a quote. Dad was out so Dougie quoted me instead; it was my first appearance in a national newspaper, an event seeming all the more significant – despite the absurdly optimistic babble I’d spouted – because the Herald was the paper Dad took along with the Echo. I naturally predicted a famous Shildon win. Logic, more naturally, prevailed and, after a tremendous start in which Shildon took the lead, the game ended in an honourable but emphatic 5-2 defeat. Later that same season, Dad was responsible for the start of my Sunderland allegiance, taking me to Ayresome Park for a game won by Brian Clough’s headed goal. 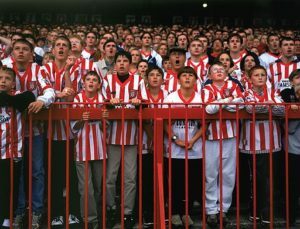 I could barely see past the tall blokes’ heads in front of me on the terraces, but I was instantly hooked and Roker Park became my second home. Remember that Sunderland was then a town, not a city, and was located in County Durham; everyone knew Sunderland as the county side and Shildon was no less part of the catchment area than Murton or South Shields. Pete Sixsmith and I would get up to home games by a combination of bus, train and foot, stopping in Durham on the way home for steaming coffee and meat pies while waiting for the Sunderland or Newcastle football specials to appear on the street corner before climbing back up to the station. And yet I remain a Shildon lad, Like Dad, I began life many miles to the south but it was my home for 23 of my first 23-and-a-quarter years. The Northern Clothing factory where he worked, and the railway wagon works where I had my first job as a junior clerk in the loading bay, closed decades ago. But I take pleasure in having eased the town’s name into print, for different reasons, three or four times in my career as a national newspaper reporter. My great friend and journalistic mentor Mike Amos, another product of Shildon and chairman of the Northern League, has done his best to lure me to Bedlington for the big game. There have been promises of a bed, a pint and even a pie. The temptation is strong. Sadly, I can do no better than keep on ice a bottle of Provençal rosé to toast, unaccompanied by pie, the joyful news I hope to hear from the Doctor Pit Welfare Park. The lad has been taken out of Shildon; Shildon remains in the blood. Many thanks for that M.S. it was a good read. Bedlington have struggled this season and have lost their last 7 games. 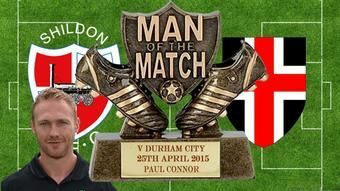 On Saturday, they were beaten 6-2 at home by relegated Celtic Nation, who had just announced that they had folded. Shildon cantered to a 6-0 win at Celtic Nation (they play in Carlisle) the week before. There is optimism amongst the support, something which we Sunderland fans have little of at the moment. Should Hull and Leicester pick up points this week, we will be up that proverbial creek with the paddle slipping from our grasp. That Bournemouth, with a ground capacity of 11,000 are lined up to take our place almost beggars belief and says a lot more about Sunderland than it does about the Cherries – good luck to them. I’ve just been looking at the “current form” table and Bedlington Terriers are bottom of it with 6 losses out of six (it only goes back that far) having scored 9 goals and conceded 28! Shildon are currently 4th (Marske are top) with a record of won 4, drawn 2 lost 0 – goals for 14, against 5. Bedlington’s home record is abysmal and in their last 3 games they’ve scored 4 (conceded 12) compared with Shildon’s away record of 2 wins + 1 draw where their goals for and against record is 10-1. You have to love a league that has a team named Celtic Nation. You’d be a bit apprehensive about their fans turning up on your doorstep! They started life out as Gillford Park and changed their name after they got the backing of a multi millionaire sponsor and attracted a number of fans of the Glaswegian Celtic side. Shame they are to fold but it is a cautionary tale of what can happen when a wealthy backer withdraws their financial support. The once mighty Crook Town are also in dire straits and have an emergency meeting later this week. Talk is they might be forced to resign from the league too. It’s only a couple of years since Pete and I saw them celebrate winning the 2nd Division title but after a decent first season back in the top division they have had a dreadful time this year only winning once in 42 matches then having three of their eight points taken off them. 39 goals for and 182 against tells the story. Twice they conceded 11 goals in a game. Let’s hope they can find a way to carry on next season. Colin, Nice job with the article……funny we have some similarities. 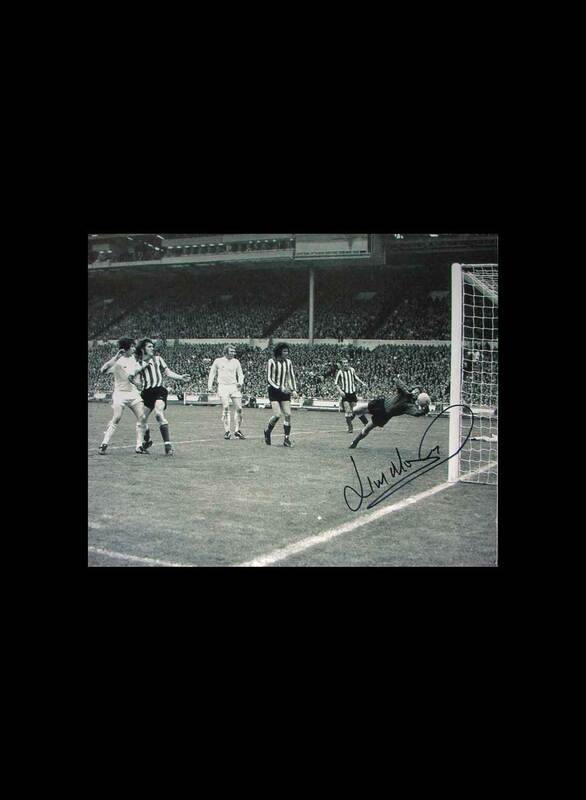 I follow Sunderland and have done so since the early 1960’s. On the other hand my brother lives in South Church and spends a lot of time at the club (he’s a joiner and does odd jobs) and is totally hooked on the club…especially the club bar. Now I look at Shildons results after the review of the Sunderland games. Funny that you should mention Mike Amos, I have been in contact with him also before he retired. I am from Wheatley Hill originally but live in the US now but have a web page on the history of the village I left in the late 1960’s. Mike had contacted me about some information on the village he needed for an article…..good lad. To top things off my wife and I fancy retiring to the South of France and are in the process of de-cluttering our house to put it on the market. We don’t know where we’ll end up at!!! Good luck tomorrow. 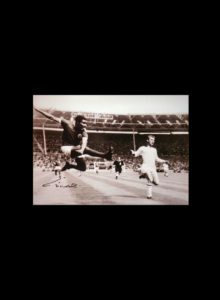 I well remember Clough’s winner at Ayresome Park, but it has to be said against a 10 man Boro. Lovely read,Colin. It’s a shame the Northern Echo weren’t interested,but then again nostalgia isn’t what it once was ! Cracking piece of work Monsieur! What a lovely read. It’s a shame Shildon couldn’t take the title.